Telling a story about how food is gathered or produced, followed by a section of relevant cuisine, is quite a popular way to present recipes these days. Gerhard and Henrietta Egger never set out to produce a traditional ‘cookbook’. Source NZ has taken a behind-the-scenes look at the way our food is produced. As they say in their introduction, their effort is ‘an inciteful documentary about the people who make it happen’ – the ‘source’ if you like, of where it all begins. As a fishing editor, I recognise there are only so many ways to bait a line or tie a knot, but the people involved are ever changing. It is a philosophy that comes out strongly in Source NZ. It is as much about the people as the recipes. Gerhard and Henrietta spent a year travelling around New Zealand, where they met wonderful people and visited fabulous places. These folk, and the food that goes with them, are highlighted in the book. A perfect example is in the first chapter – The Ocean. The writers spent time aboard Extreme Limits, one of the Leigh-based fishing fleet. They tell the story of one of our more sustainable commercial methods – long-lining – explaining how it all works, taking into account bird mitigation and maximising the value of the catch. Source NZ looks at how our food is produced and gathered from both land and sea, and also pays tribute to tangata whenua’s contribute to New Zealand’s food landscape. There is a strong emphasis on great supporting photography – the book is visually stunning. Fishing folk like a good yarn – especially when it has an element of the truth, recalling a life experience. 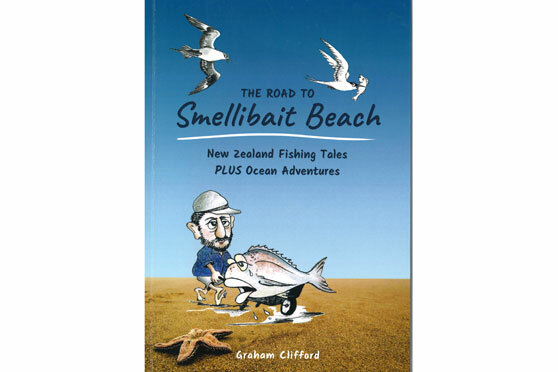 The Road to Smellibait Beach’s author, Graham Clifford, has a wealth of such experiences to draw from. Now retired in the Bay of Islands, Graham ran away to sea at the tender age of 16 and has been around ships and boats ever since, serving on foreign-going cargo ships through to skippering tourist, fishing and ferry craft for 40 years, prior to his retirement. The text is divided into two sections: ‘Fishing Spoken here’ and ‘Call of the Sea’. The first relates angling tales, the second recalls ventures offshore. The stories are told with a great deal of humour. One I particularly like came from Graham’s days as the skipper on a Fullers line charter boat (the ferries took on charter-fishing duties if there was a demand). In this instance, a bunch of enthusiastic but not very experienced anglers were on board; they insisted on going out to the cape to fish, where they loaded up on ‘granddaddy hapuku’ until their bags were full of the spikey catch. Convincing the anglers they should try for some snapper, the first and only ‘big red’ turned out to be a nice specimen of around 6kg. While the angler was particularly proud of his catch, Graham managed to convince him the ‘blue spots’ indicated it was ‘poisonous’, something that happened around May each year, and that he should leave it behind to be sent to Auckland University for ‘research’ purposes’. This he duly did, leaving the fish aboard when he departed, thinking it would be used for the greater good. Graham had guests coming for tea – guess what they dined on? I also enjoy a little history, and there is some of this in the book. A couple of chapters are dedicated to Graham’s stint as a big game charter boat skipper aboard Lady Jess, especially his first season based out of Whangaroa. As it transpired, Graham enjoyed a great deal of success at a time when the more established local boats were down on their luck! The book’s second part consists of four autobiographical openocean adventure narratives, describing working life aboard foreigngoing freighters in the early 1960s, as well as an incredible smallvessel journey from Hong Kong to New Zealand in a Chinese junk – the Golden Lotus. 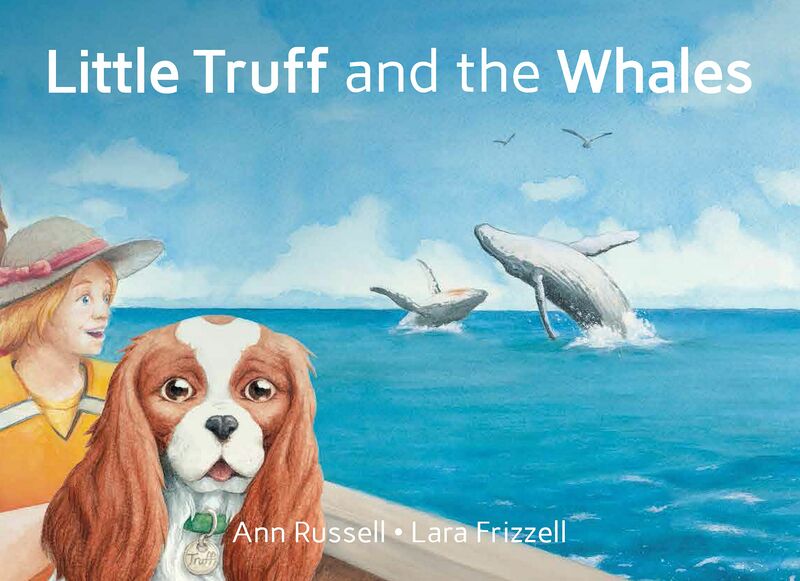 Produced in conjunction with the NZ Department of Conservation, Little Truff and the Whales focuses on raising people’s consciousness about marine wildlife, especially whales. New Zealand is a coastal nation; the furthest point on land from the sea is just 119km. A large percentage of the population is involved with the sea, so it makes good sense to educate people about its inhabitants. Little Truff and the Whales successfully manages to do this in a way young people can relate to. There are several simple messages wrapped up in Ann Russell’s storyline, helped by some great illustrations from Lara Frizzell. For many years now, Spot X Publications has produced a series of guide books to the great New Zealand outdoors, including fishing, hunting, diving, camping, surfcasting, walking, cooking, wild foods, freshwater angling, cruising and gamefishing. Each is produced in the same formulaic way, offering consistency in the way the information is disseminated across all the titles. Compiler Mark Airey has gone back to his sources and gleaned more information from them, covering the areas they know well and fish. A time-consuming task, it has resulted in a collection of information each contributor has taken a lifetime to compile, available for readers to have at their fingertips in the time it takes to read the pages. The Spot X books are ideal for those heading away from their home patch and want a few starting points to catch fish in unfamiliar areas. 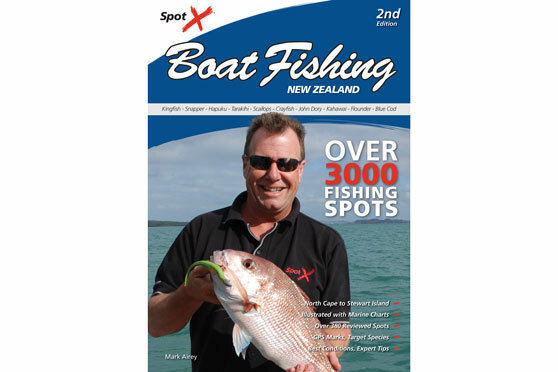 Spot X Boat Fishing NZ covers the bulk of the upper North Island on both coasts, the greater Wellington region, as well as Nelson/Marlborough, Canterbury, West coast, Otago and Southland on the Mainland. In addition to fishing and diving information – locations (with GPS references), the species available and how to fish them – boat ramps are also covered, along with an explanation of the facilities and suitability for various sized craft. The most popular locations get special attention. For example, the Hauraki Gulf’s inner areas feature over 100 places to fish for a variety of species, as does the Bay of Islands.